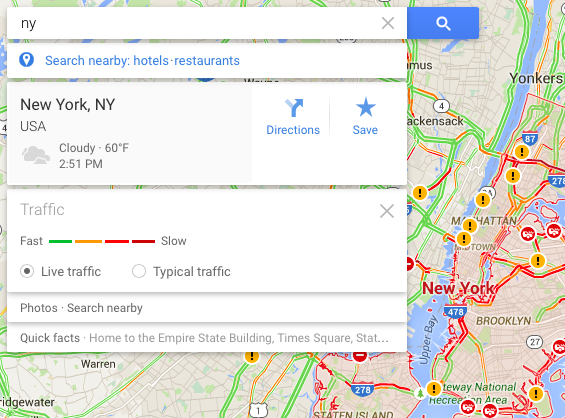 Google released free turn-by-turn navigation for Google Maps back in 2009. At that time, it was one of the top reasons to buy an Android phone, at least if you lived in the US. Since then, Google added support for a lot more countries and developed an app for iOS which included the navigation feature. 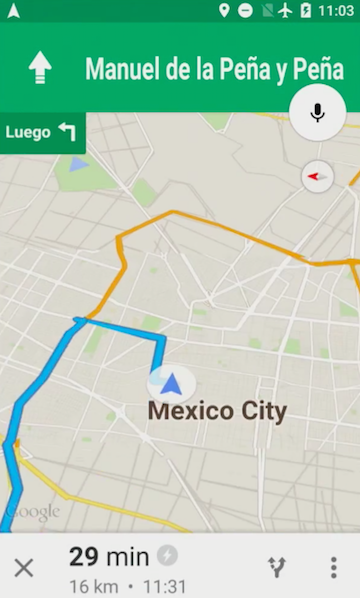 Unfortunately, Google Maps Navigation still requires an Internet connection, like most of the features of the Google Maps mobile apps. Navigation continues to work if you lose your Internet connection, but you can't change your destination or your route. Google Maps lets you cache maps, though they're limited to 50km x 50km and you can't get directions, use navigation or find local businesses. Nokia's HERE apps for Windows Phone, Android and iOS allow you to download full-featured country maps for free and use all of these features offline. According to Jen Fitzpatrick, Google VP for Engineering & Product Management, the new features will be released later this year. 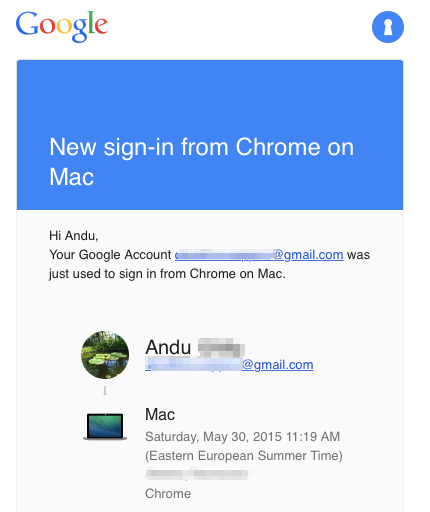 "Your Google Account was just used to sign in from Chrome on Mac. Why are we sending this? We take security very seriously and we want to keep you in the loop on important actions in your account. We were unable to determine whether you have used this browser or device with your account before. This can happen when you sign in for the first time on a new computer, phone or browser, when you use your browser's incognito or private browsing mode or clear your cookies, or when somebody else is accessing your account." 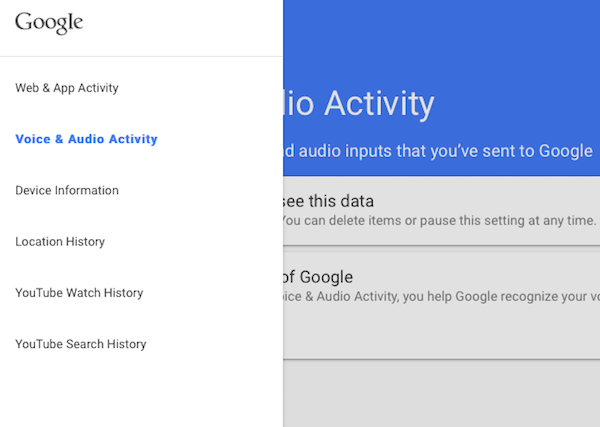 Google suggests to check the Devices & activity section from Google Accounts Settings if you don't recognize this activity. 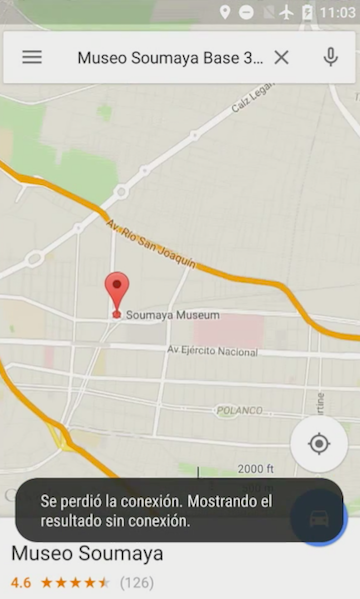 You can also find additional information about the browsers and locations that were used. 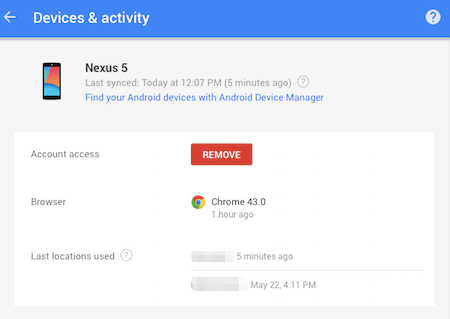 For mobile devices, you can even remove account access to make sure it can no longer access your Google Account. 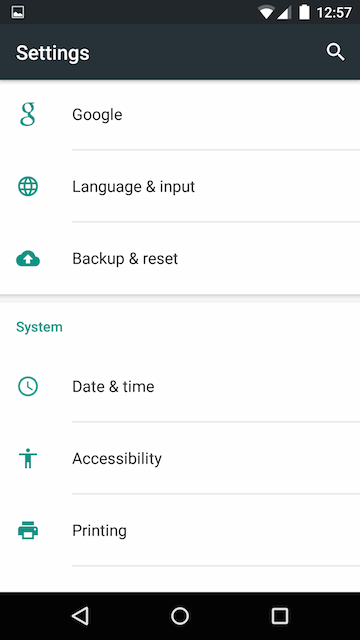 Google Play Services brings an interesting feature: a Smart Lock for passwords and connected accounts. 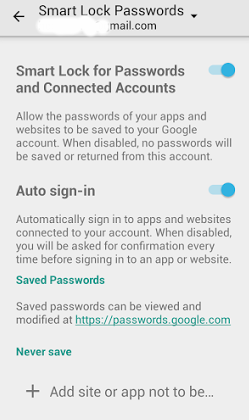 This feature is enabled by default and it allows the passwords of your apps and websites to be saved to your Google account. 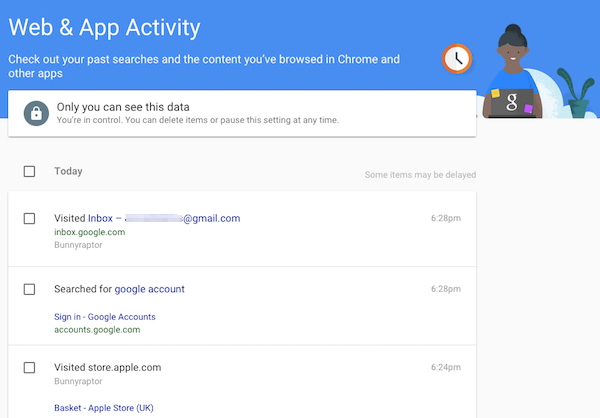 By default, Google automatically signs in to apps and websites connected to your account, but this feature can be disabled. Chrome already has a syncing feature for passwords, so the new Smart Lock uses it to bring the same passwords to apps. For example, Google could save your Facebook password and it could use it to sign in to your account in the native Facebook app. 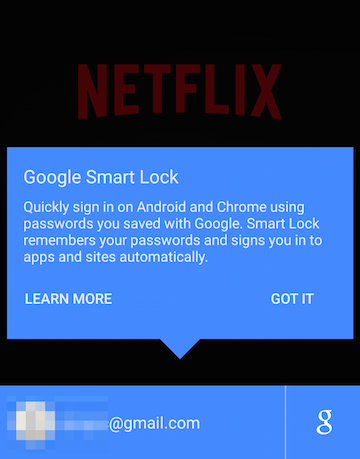 Android Police reports that Smart Lock works in the Netflix app and developers need to use a new API to add support. Other Android apps that support this feature: Eventbrite, Instacart, New York Times, Orbitz. "Google Smart Lock for Passwords takes the hassle out of keeping your accounts safe for your favorite apps and websites. 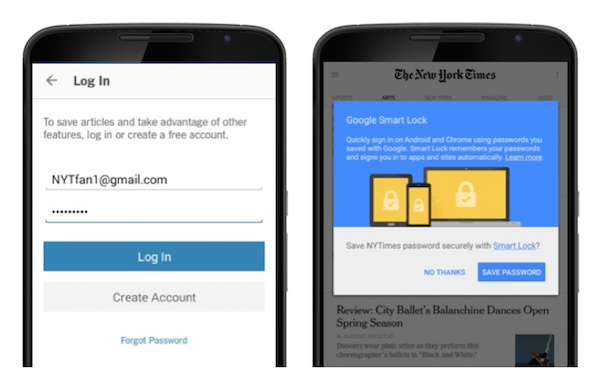 Smart Lock can save passwords to your Google Account and then help you use your passwords securely and conveniently on the websites you use in Chrome and the apps you use on your Android devices," informs Google. There's also a page that shows your saved passwords: you can find it at passwords.google.com. 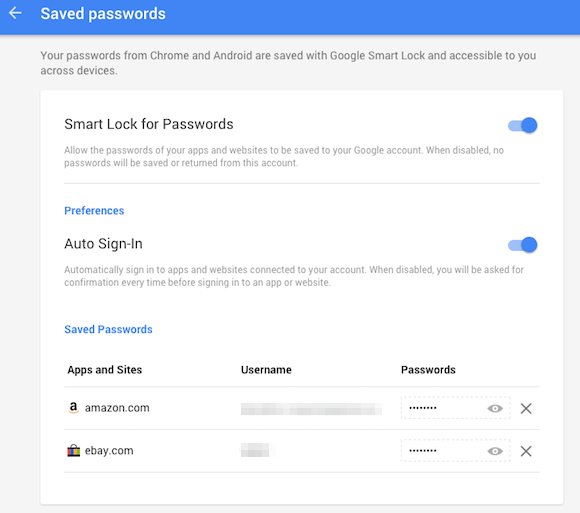 "Your passwords from Chrome and Android are saved with Google Smart Lock and accessible to you across devices," explains Google. Unfortunately, this page doesn't show your passwords if you use a sync passphrase to encrypt your synced data in Chrome: "you can access your data within Chrome on your syncing devices, but not from this website." A help center page mentions that you can't use Smart Lock for Passwords on Android if you set a sync passphrase. If you don't have a sync passphrase, the page shows your passwords and lets you delete them. Click the eye icon to see a password. 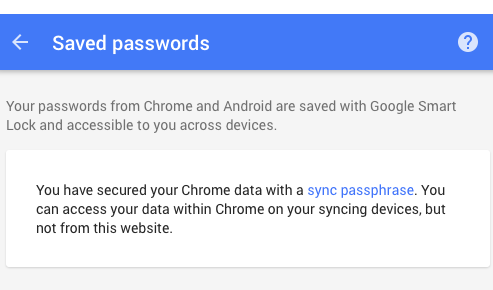 You can remove the sync passphrase from this page, but this also deletes your Chrome data from Google's servers. The good news is that this doesn't clear data from your devices, so you can sign in again to start syncing. 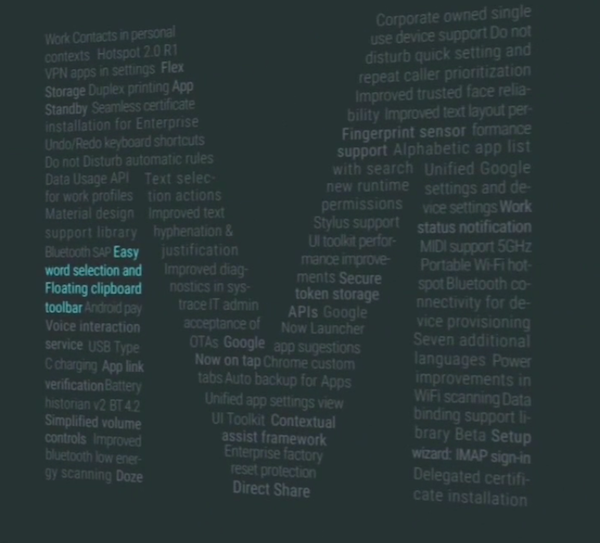 Android M was announced today and it's available as a preview for developers. It brings some new features and makes some radical changes that improve battery life and user privacy. The most significant change is a new permission model that's also used by iOS. Until now, users could only install an app by granting all the permissions requested by the app and couldn't revoke permissions. 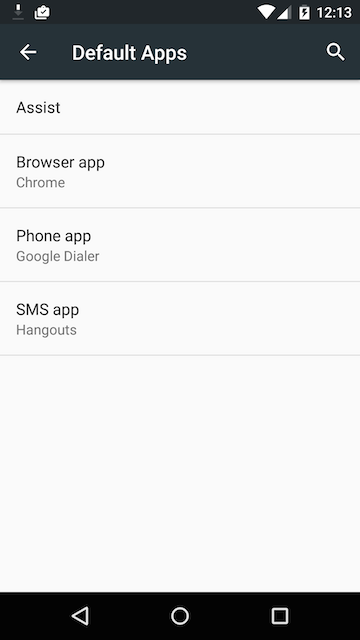 In Android M, the app requests permissions as it needs them and users can always grant or revoke permissions from the settings. 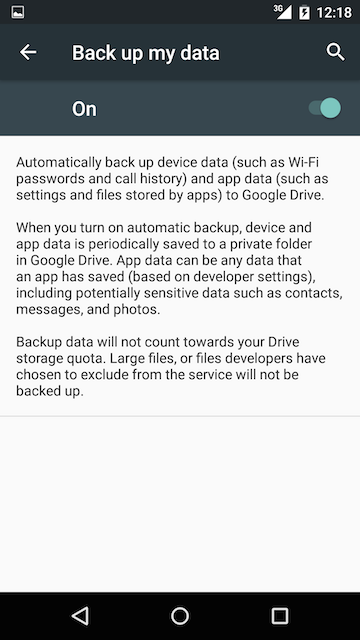 Android's backup and restore feature has always been way behind iOS and that's about to change in Android M. Google used to save device settings and the list of apps you've installed, but not their data and settings. 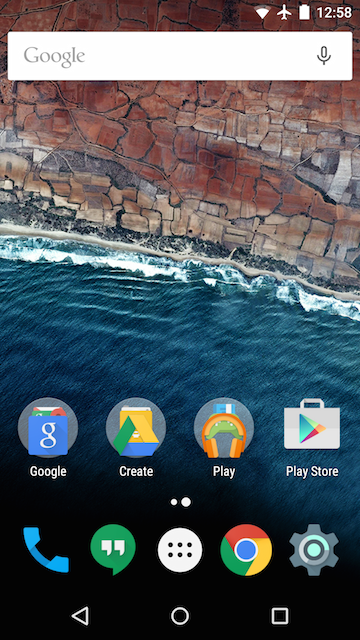 "Automatic backups are enabled for all apps installed on devices running the Android M Preview. No additional app code is required," informs Google. 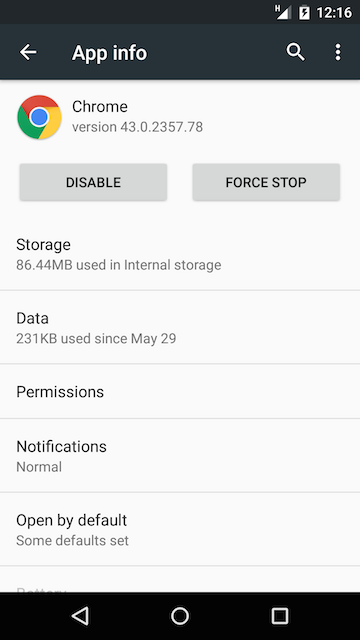 For now, users can store up to 25MB per Android app and "backups occur every 24 hours, when the device is idle, charging, and connected to a Wi-Fi network." Doze is a new feature that saves battery life. "If a device is unplugged and left stationary with the screen off for a period of time, it goes into Doze mode where it attempts to keep the system in a sleep state. In this mode, devices periodically resume normal operations for brief periods of time so that app syncing can occur and the system can perform any pending operations," informs Google. 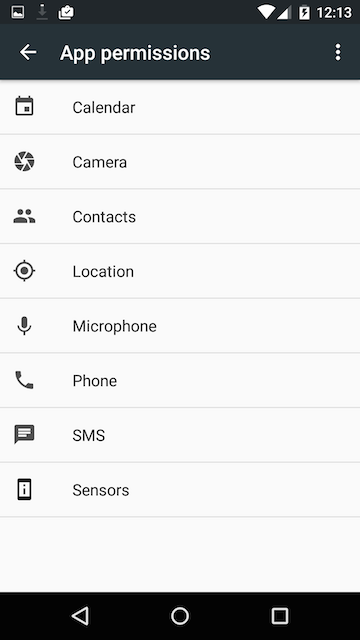 A lot of features are disabled in the Doze mode: network access (except for high priority Google Cloud Messaging tickles), wake locks, WiFi scans, syncing. Another power optimization feature is app standby. 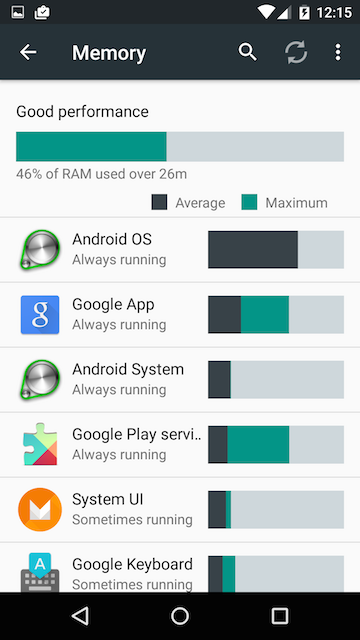 "The system may determine that apps are idle when they are not in active use. Your app is considered idle after a period of time, unless the system detects any of these signals: the app is explicitly launched by the user, the app has a process currently in the foreground, the app generates a notification that users see on the lock screen or in the notification tray or the user explicitly asks for the app to be exempt from optimizations, via Settings. If the device is unplugged, apps deemed idle will have their network access disabled and their syncs and jobs suspended." Android Pay addresses Google Wallet's failure by creating an open platform for mobile payments. This time, Google partnered with 3 major US mobile carriers (AT&T, T-Mobile, Verizon), in addition to banks, payment processors and retailers. After Softcard's demise, Android Pay will replace it. Google acquired Softcard technology a few months ago. It's worth pointing out that Android Pay is an app that requires Android KitKat or later, so it's not clear why it was announced as an Android M feature. 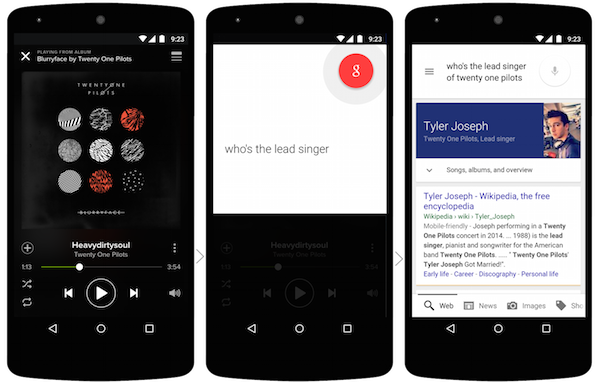 Google Now will also work inside Android apps. 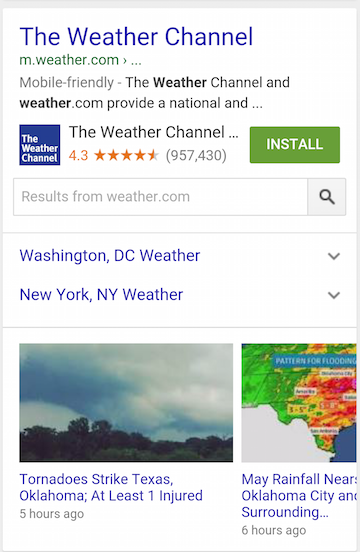 Tap and hold the home button and Google Now will show relevant information, including links to other useful apps. 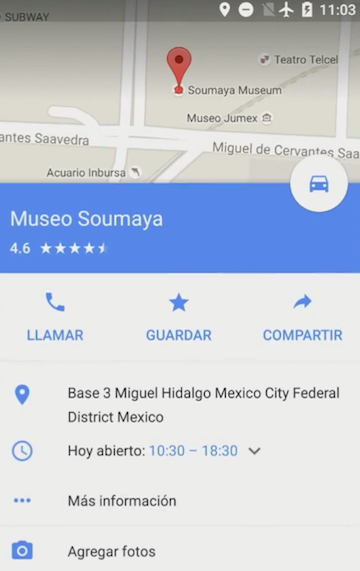 Say "OK Google" followed by a question and Google's answer will use the app's context. For example, you can ask "What's her latest album?" when listening to Mariah Carey in your favorite music app and Google will know that "her" refers to Mariah Carey. 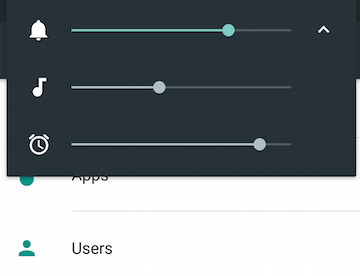 Android M brings native support for fingerprint sensor, simplified volume controls, easy word selection with floating clipboard toolbar. 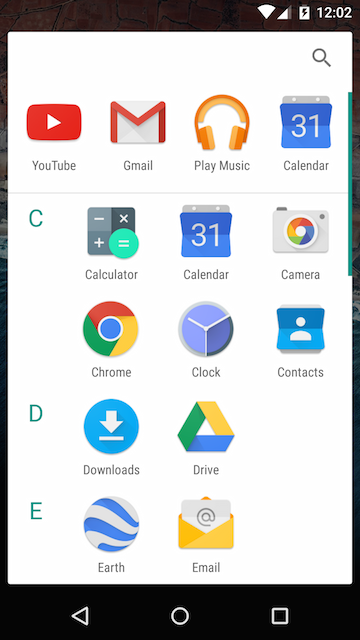 The updated launcher has an alphabetic app list and a search box that lets you quickly find an app. It also shows the most recently used apps at the top. You cab change default apps from the settings, so it's easier to pick the default browser, phone app or SMS app. Android M supports app link verification, so that links can open in an app without having to pick one first. 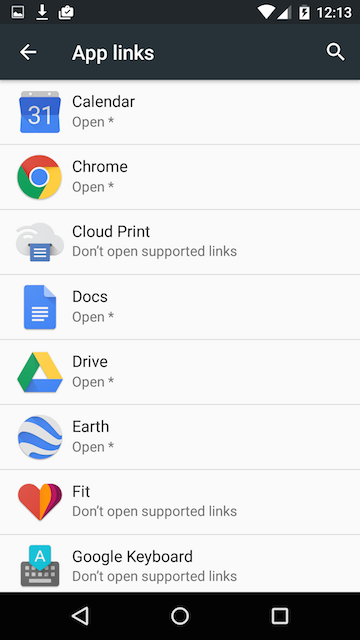 You can disable app links in the settings. There's also an updated memory stats section and you can find more information about apps. Another improvement is that there's no longer an icon for Google Settings. This is now a section in the settings app. 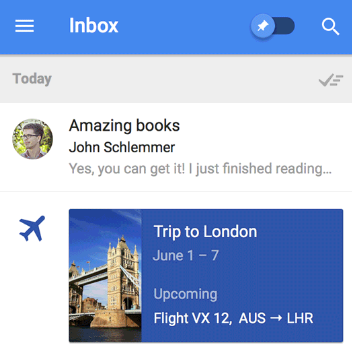 It's not like it was hard to get an invitation for Google Inbox, but now you no longer need one. Google Inbox is available for everyone. Google also added some new features to the services. Trip Bundles group all the emails about a trip and show important details like flight times. Undo Send is now available in Google Inbox and it also works on mobile devices. If you change your mind after sending an email, you can click or tap "Undo" and Google no longer sends it. Google Inbox now lets you make "Delete" the default swiping action instead of "Mark as done". There's also a setting for custom signatures. Google Keep reminders will appear in the inbox and Google will suggest creating reminders for messages that include to-dos. 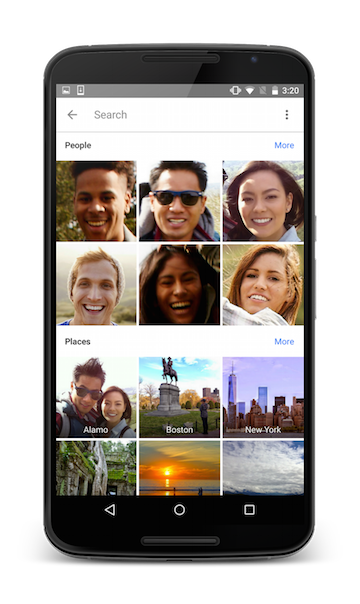 Google has a new standalone service for photos - it's called Google Photos and it's available as a desktop web app and 2 mobile apps for Android and iOS. 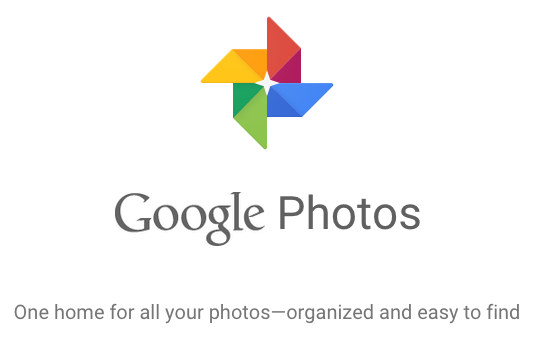 Google Photos doesn't require Google+ and it aims to be "one home for all your photos - organized and easy to find". 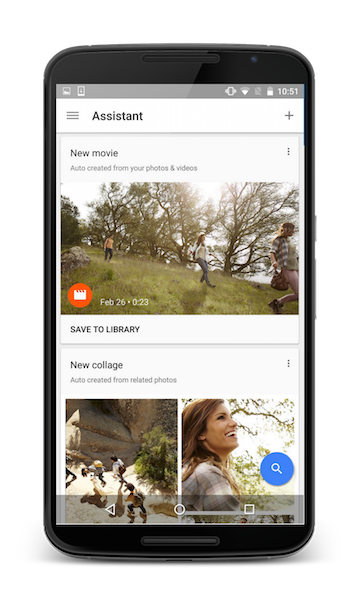 Google Photos brings most of the features that were already available in Google+ Photos (which will continue to exist). There are some improvements: for example, Google now maintains the original resolution up to 16MP for photos, and 1080p high-definition for videos if you want to store your photos and videos for free. Another improvement is that Google Photos does a better job at organizing and grouping photos by people, places, things, types. "The app can also help you quickly enhance photos and combine them in new ways to help you relive your life's moments. In one tap, get instant adjustments tuned to the photo's color, lighting, and subject to make each photo look its best. Press the + button to create your own collages, animations, movies with soundtracks, and more," informs Google. Auto Awesome is now called Assistant and it suggests new animations, collages and stories created using your photos and videos. You can dismiss them, edit them or share them with your friends. Sharing works much better, even if you're not using Google+. You can select some photos and quickly get a link you can share with other people. "The recipient can see what you shared without a special app or login, then immediately save the high-quality images to their own library with a single tap." 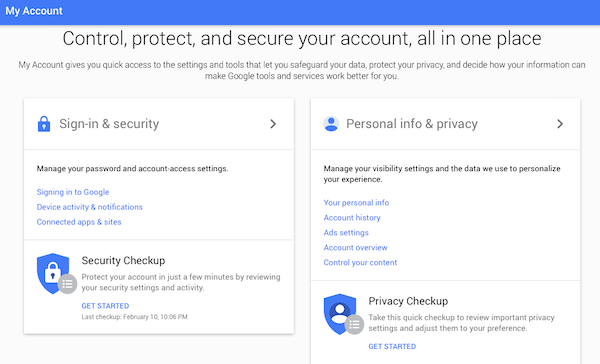 There's a new interface for Google Account Settings that does a better job at organizing all the different sections that are available. There's a sidebar that lets you quickly navigate to a different section and Google offers more information about the settings. 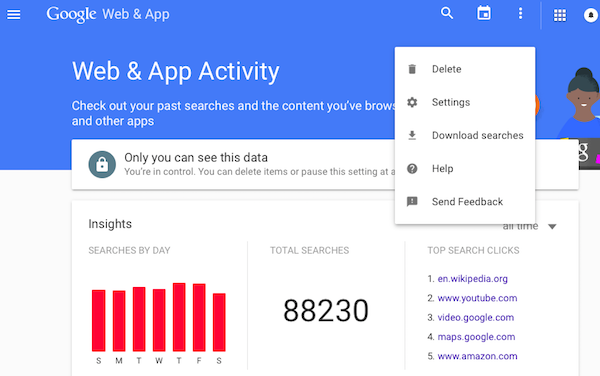 Google Web History also has a new interface, which uses more colors and a hamburger-style menu that lets you switch to other activity pages. Google includes "the content you've browsed in Chrome and other apps" if you've enabled this option. Back in 2012, Gmail enhanced the search feature by showing relevant emails, Google Calendar events, Google Drive files as you type your query. A similar feature is now available in Google Calendar and Google Drive. For example, you can type a query in Google Calendar and find emails and Google Drive files, in addition to Google Calendar events. Click one of the results and it opens in a new tab. Google Drive shows Google Calendar events and results from Gmail. If there are no Google Drive results, you'll see this message: "there are no recent records that match your search". 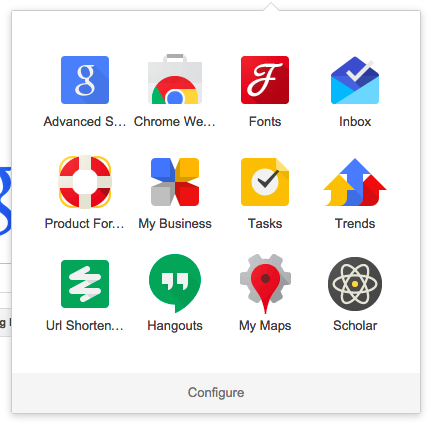 Similar results are included in the standalone web apps for Google Docs, Sheets and Slides. 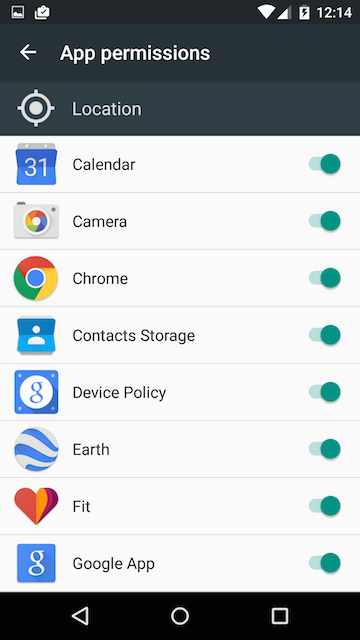 For some reason, Google's app launcher doesn't let you remove Google services. You can add Google products, change their order, move them to the "More" section, but you can't delete them. 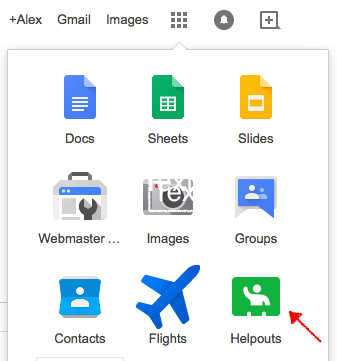 Helpouts was discontinued last month, but it's still included in Google's navigation menu. If you've added the Helpouts shortcut to your navigation menu, you can still click it and find that "Helpouts is no longer available." Fortunately, there's a Chrome extension that lets you add almost any Google service to the app launcher and also remove shortcuts. 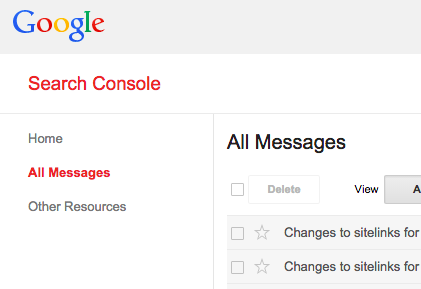 Google Webmaster Tools has a new name: it's now called Google Search Console. Why change the name? "It turns out that the traditional idea of the 'webmaster' reflects only some of you. We have all kinds of Webmaster Tools fans: hobbyists, small business owners, SEO experts, marketers, programmers, designers, app developers, and, of course, webmasters as well," explains Google. Google Search Console will continue to offer the same features, including Google Search analytics, information about external and internal links, mobile usability issues, crawling and indexing issues, security and spam. There are some other consoles for Google services: Google Play Developer Console for Android, Google Developers Console for projects that use Google APIs and Google Cloud, Google Admin Console for Google Apps. Google Tone is an experimental Chrome extension for sharing the URL of the current tab with other computers. It doesn't use Bluetooth, NFC or WiFi: it only sends audio tones. 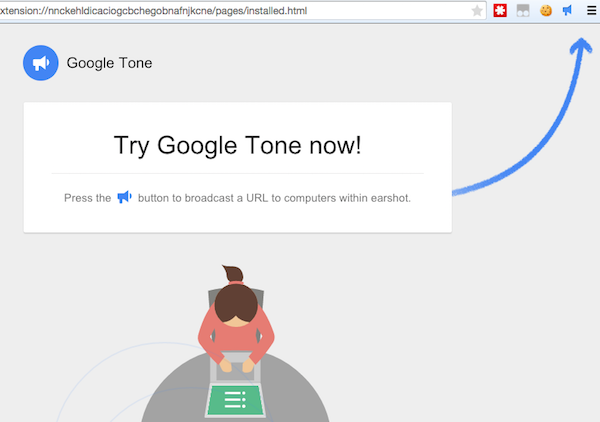 "Google Tone turns on your computer's microphone (while the extension is on) and uses your computer's speakers to exchange URLs with nearby computers connected to the Internet." 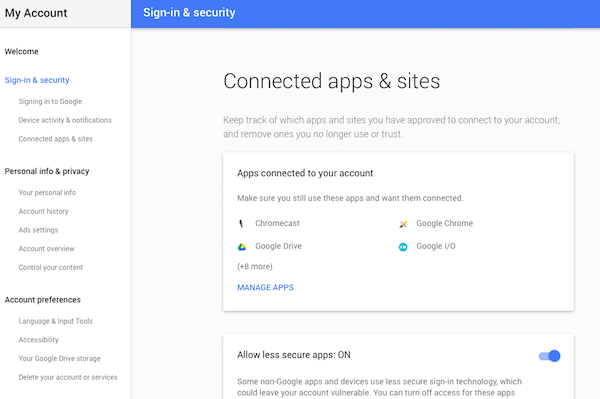 For some reason, Google requires to be logged in to a Google account and to be online. Your Google Profile name and picture are displayed next to the notification. I'm not sure why this feature isn't optional. Google Research Blog has more information about this experiment. "Tone provides an easy-to-understand broadcast mechanism that behaves like the human voice — it doesn't pass through walls like radio or require pairing or addressing. The initial prototype used an efficient audio transmission scheme that sounded terrible, so we played it beyond the range of human hearing. However, because many laptop microphones and nearly all video conferencing systems are optimized for voice, it improved reliability considerably to also include a minimal DTMF-based audible codec. The combination is reliable for short distances in the majority of audio environments even at low volumes, and it even works over Hangouts." The extension doesn't work all the time, so make sure to turn up your volume, turn on your computer's microphone and unplug your headphones. When it works, it's a cool way to share the current tab with all the computers around you, assuming that they use Chrome and this extension is installed. Sometimes even Google makes mistakes. 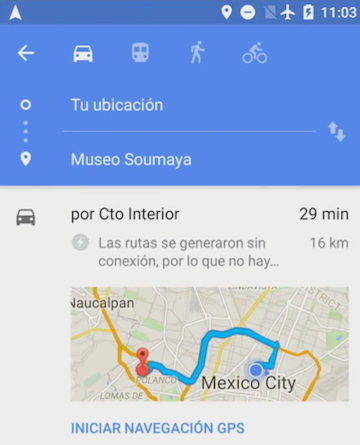 The new version of the desktop Google Maps has an updated interface for layers like traffic, transit, bicycling and terrain. 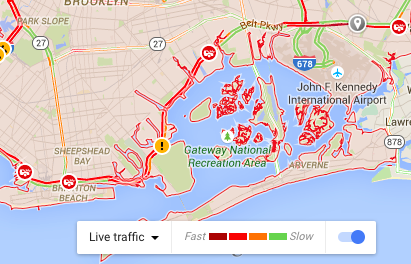 If you enable the traffic layer, Google shows a legend at the bottom of the page and claims that red = fast-moving cars and green = slow-moving cars. Obviously, the labels are reversed. This mistake was spotted by Ken Drori, a reader of this blog. Fortunately, it's quite easy to fix. 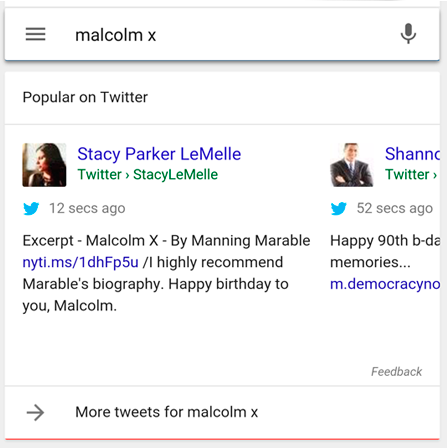 Google announced that it will start to display tweets in Google Search for mobile. "When you're searching on the Google app or any browser on your phone or tablet, you can find real-time content from Twitter right in the search results," informs Google. There are two Twitter-related cards. One of them shows popular tweets related to your query and it's only displayed for news-related searches. The second card enhances Twitter results with recent tweets. 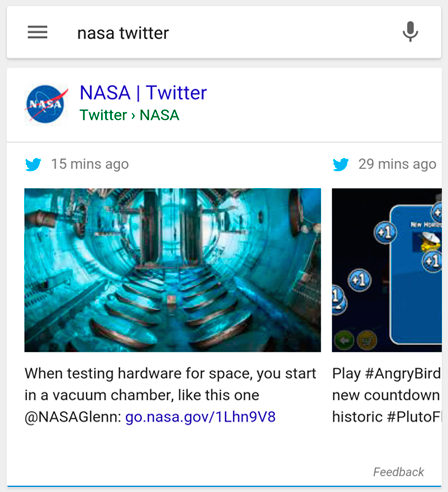 For example, when you search for [nasa twitter], Google displays the most recent tweets, including those that were posted a few seconds ago. Basically, Google has access to Twitter's Firehose API once again, 4 years after Google Real-Time Search was discontinued and Google+ was launched. Twitter's blog says that "the desktop web version is coming shortly, and we have plans to bring this feature to more countries in the coming months." Right now, this feature only works in the US. "By deeply integrating Twitter’s real-time content into Google search, we hope you find it easier than ever to explore your interests across both Twitter and Google." It's the end of the Google+ era. Even if Google+ will continue to exist in one way or another, Google will stop promoting it aggressively and will probably use it as a backend service. Bloomberg reports that Google "is set to reveal an online picture sharing and storage service that will no longer be part of the Google+ social network" and "will let users post images to Facebook and Twitter". 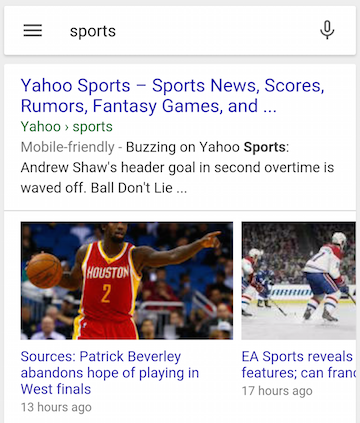 I'm not sure if this is a new feature, but Google's search app for Android shows a list of recent articles from a news site below some search results. The list uses big thumbnails and you can swipe right to find more articles. For examples, searches for [sports], [weather], [obama] trigger the visual list of recent articles. 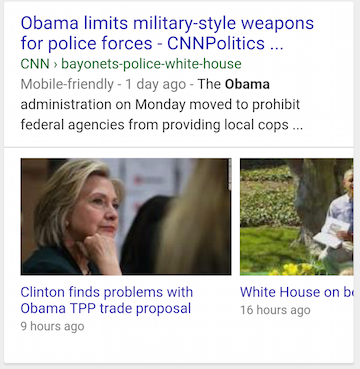 Google shows related news articles. 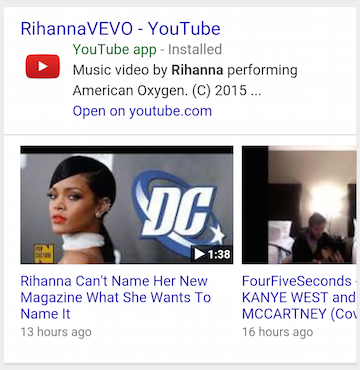 This feature also works for news-related YouTube videos.